DISCLAIMER: MintVine was rebranded as Branded Surveys. The following is a review of the surveys.gobranded.com website, its features, and how it works. This is intended to provide you with transparent information about the site to help you better understand what it has to offer as well as whether or not it’s actually legit. Much of this information was compiled from the MintVine reviews of past and current users. If there are any concerns about the company, they seem to mostly target the fact that users had technical issues with the website or with getting their rewards. Both matters will be addressed later on. MintVine underwent a re-branding and now refer to itself as ‘Branded Surveys‘. This is a marketing company that provides its users with many chances to earn points in exchange for rewards. If you’ve tried other sites like Swagbucks or OneOpinion, then you will surely get on well with it as Branded Surveys holds similarities with them. The website comes with three different ‘tiers’ of member levels: Elite Bronze, Elite Silver, and Elite Gold. You can move up in levels based on how active you are on the website. The higher up, the more points you can earn. Is Branded Surveys (MintVine) Legit or a Scam? From looking at various MintVine reviews alone, it is apparent that this is not a scam website. You don’t have to contribute with money to sign up and participate. To make it even more apparent that it is legit, the company is accredited by the Better Business Bureau (BBB). Surveys: This site mainly functions through surveys (e.g., standard surveys, bonus surveys, focus groups). You get matched to surveys based on your profile answers as well as the answers you give on other questionnaires. Local Deals: MintVine often shows you deals available in your area for a variety of activities or locations, for example, restaurants. You can purchase such deals and receive points from MintVine for it. 3rd Party Offers: These are promotional campaigns offered by various advertisers. They may ask you to sign up for different services or subscriptions, and in exchange, you earn MintVine points. Daily Poll: A different poll is posted daily on the website and contains simple multiple choice questions. Completing them can reward you with points. Elite Referral Program: You can refer a friend to sign up for this website. However, you only receive points from this if your referrals actually complete offers and surveys. Also, this program works based on your member status level. You earn points as you complete the variety of tasks from surveys to offers available on this website. When these points reach a specific threshold, you can begin exchanging them for a number of different rewards. Below, you will find details about the rewards you can expect to receive. Gift Cards: Once you have enough points, you can exchange your earnings for gift cards. There are several different gift cards available depending on your place of residency. Charity Donation: If you want, you can also select to turn your earnings into a monetary donation to the charities that collaborate and are listed on the website. Cash: You can redeem the points you have earned on the website for cash. This can then be sent to your PayPal account, or you can use Branded Pay to have it transferred into your bank account. Task Variety: There is more than one way of earning points on this website. This ensures a more well-rounded experience. Payout Methods: You can receive your earnings in more than one way. If you aren’t interested in cash payouts, you can always go the gift card route or even donate your earnings to charity. Extra Points: As long as you hold a high member level (Silver or Gold), you can earn extra points for your work. This can help push users to get more involved and spend more time on the website. Minimum Payout Amount: You must first meet a minimum amount of points before you can request a gift card or money. Several other similar sites have done away with this minimum amount limitation and which now allow you to take out however much you have. Survey Matching: If you don’t match up with a survey, you won’t earn as many points. This can increase the time needed to rack up points. Since the website began using cookies, some users reported having difficulties receiving or finishing surveys, logging in, etc. Several MintVine reviews from the users themselves state that they had issues getting their rewards in time. As a solution to the cookies situation, Branded Surveys (the new MintVine website) indicates that it requires a set amount of cookies. You can choose to accept only some or all of them. If you’re still having problems because of this, you can try changing your cookies settings, deleting your cookies, and restarting your browser. If none of these work, you can reach out to the support team. As for the delays in receiving rewards, there isn’t much you can personally do beyond contacting Branded Surveys directly. You can find out more about their contact information in the following section. Official Website: You can fill out the brief Contact Us form on the company’s website to reach out and be contacted by someone from the support team. Social Media/Other: Another way to contact them is through their Twitter or Facebook pages. 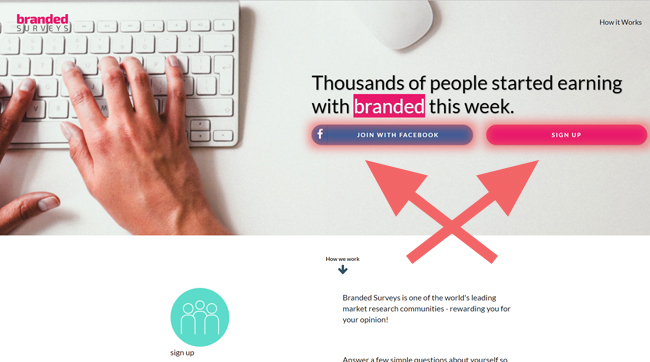 Branded Surveys, the former MintVine, is a rewards and marketing website that can offer its users a good amount of tasks to earn points that can later be exchanged for cash or gift cards. According to other MintVine reviews, the website does have issues with receiving rewards and accessing surveys due to technical complications. However, overall, it appears to be a decent way to earn some light income now and then. If any of you are already using this website, feel free to let us know about your experiences with it, and share your thoughts and opinions. Like SOOOOO many others (just look on their own site and other review sites), I am unable to get paid (again!). The Redeem Points button has disappeared, my Paypal payout request was rejected, and I am left with $24 in my account which I can’t get to. Their support won’t contact me. I won’t be using them anymore, and especially not recommending them!! So sorry to hear that! Have you tried contacting them on one of their social media channels as well, if their contact team is not responding? If they won’t answer you there either, perhaps you should consider contacting the BBB (Better Business Bureau) and file a complaint letting them know about your problems. Let us know how things work out so we can update our review, and good luck!